Hey Guys! This week I am doing Mom week. As I am sure you know yesterday was Mother's Day, so I chose this week to be Mom Week. 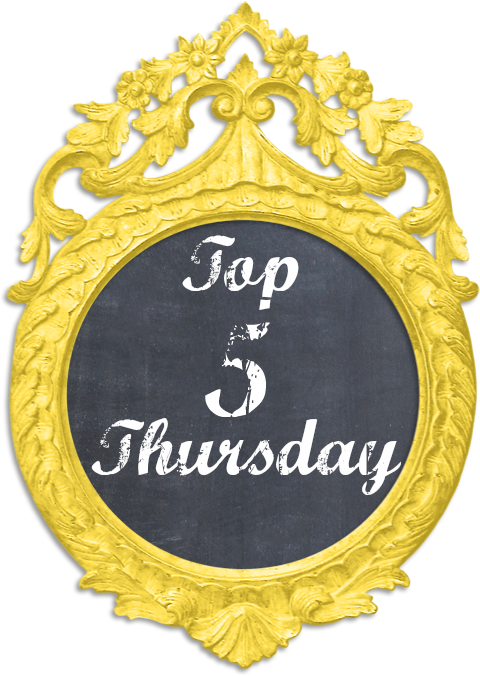 Today I am going to share with you Matthew's birth story. This is a story about the day my life changed FOREVER. I became a mom. It was the greatest day of my life. I wrote this just a couple days after he was born on an old blog of mine. I am editing some bits and pieces of it because of typos. I hope you enjoy. I had my last doctor appointment on Friday, November 20th and they decided to induce me on Monday, November 23rd. I went the whole weekend mostly in bed to make sure that I didn’t go into labor on my own. When Monday arrived, Matt, my mom and I showed up at the hospital at 5 AM. We were all excited, and I was extremely nervous. I was already dilated to 3 cm when we got there, so we were kind of hoping for a faster labor. Within 2-3 hours I was dilated to 7 cm. I got my epidural and my pitocin and was just trying to rest. They also broke my water around 10-11 AM. But as the day progressed and they continued to check me, they noticed that Matthew still wasn’t dropping down low enough and that I was still at 7 cm. I also came down with a fever of around 102 degrees, which of course meant an infection. After 15 hours of labor, 12-13 of which I was at 7 cm, they brought up the dreaded “C” word. I was terrified. 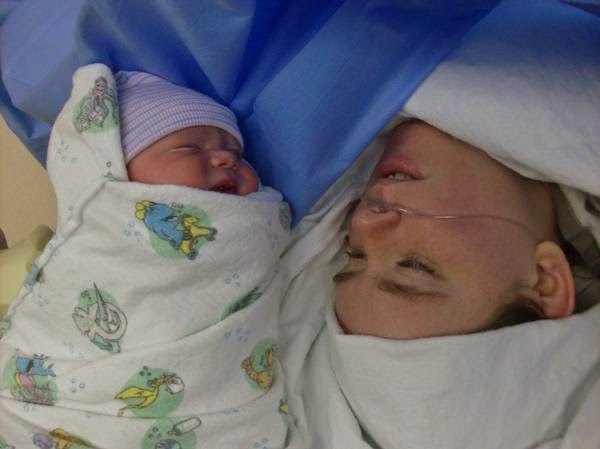 A C-Section had been one of my biggest fears. I worried about what it would mean for Matthew and was terrified that I wouldn’t heal correctly. But, I was reassured and told that it truly was the best thing for Matthew and I. At around 9:30 PM they wheeled me into the little tiny OR. I had the shakes horribly from the fever. After a couple of minutes of getting set up they brought in Matt. 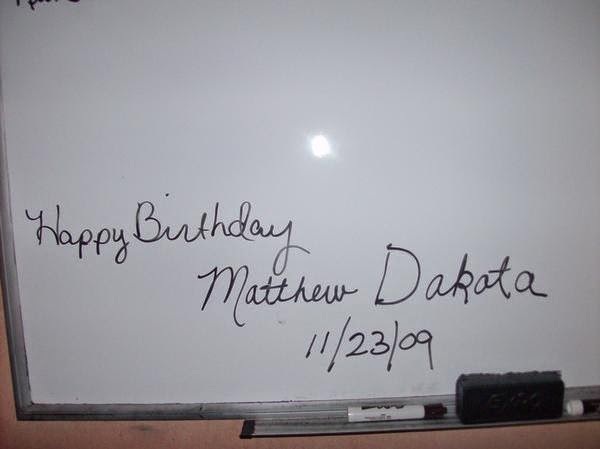 At exactly 9:47 PM on November 23rd, 2009, Matthew Dakota was born by C-Section. As soon as I heard his sweet little cry I started crying hysterically. I finally had my son, it was finally real. They brought him around to show him to me and he was so adorable. But of course they quickly took him over to get him checked on. Matt left me to take pictures of him and to take him to the nursery. As soon as they had him out they started pumping pain medicine into me. So after me getting to see him one more time before they took him to the nursery, I don’t remember much of anything. At 2:30 AM, I finally got a chance to hold my son. I only held him for around 5 minutes because I was so drugged up and it was difficult for me to sit there without feeling like I was going to pass out. So, I sent him back to the nursery. But, he was just as adorable as the first time I saw him. In fact, he might have actually been cuter. Every time I see him I fall more and more in love with him. He is the greatest thing I have ever accomplished in my entire life. Matthew was born at 9:47 PM on Monday November 23rd. 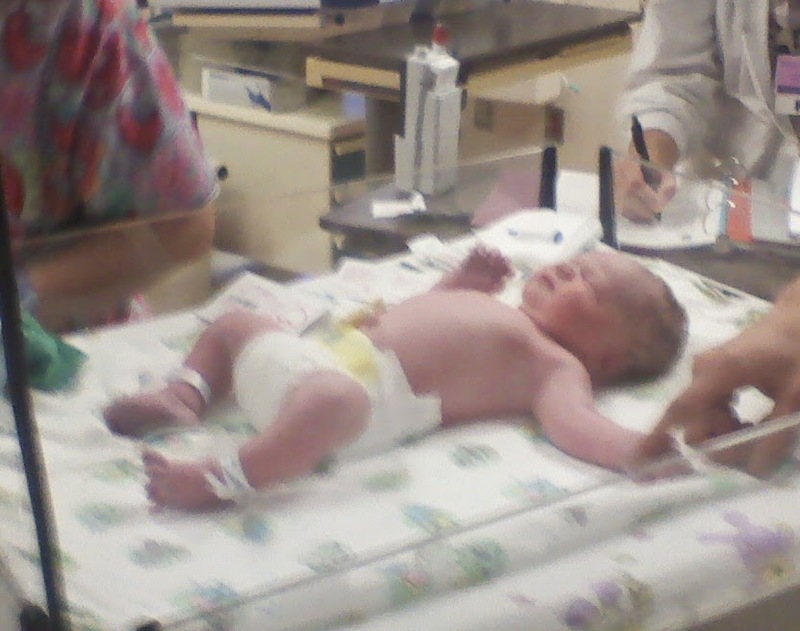 He was 8lbs 5 oz and 21 in long.